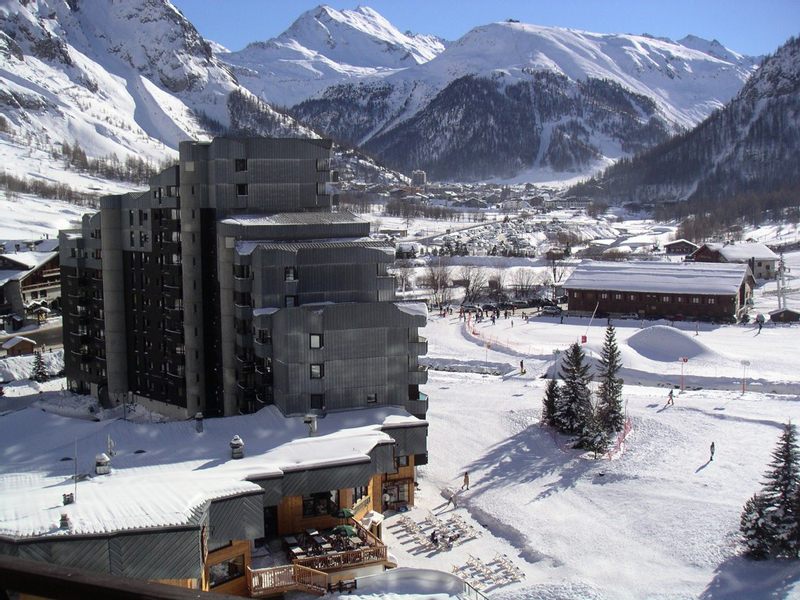 Fantastic location, ski in/ski out 3* self-catering Maeva Sud apartments which face south at the bottom of the Bellvarde pistes. The ICE meeting point is directly opposite the apartments. 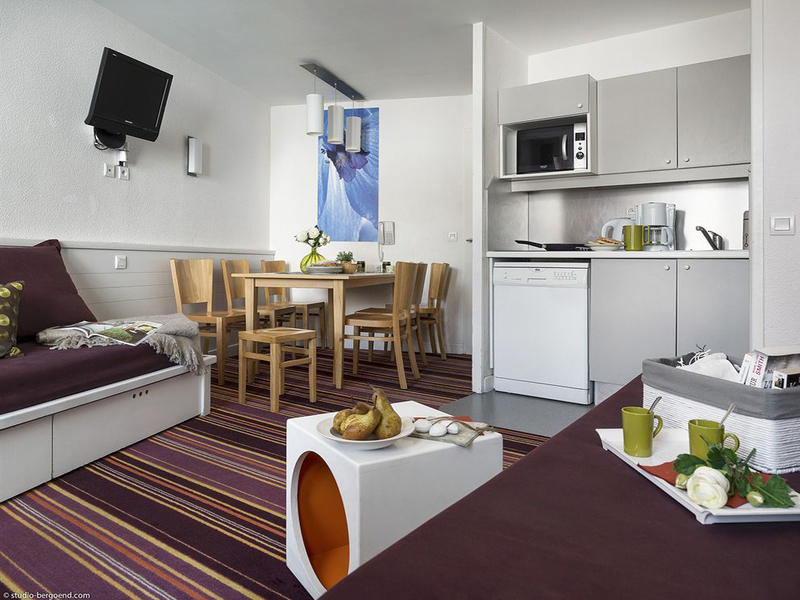 The apartments are tastefully decorated, a great kitchen/dining area, reasonable cupboard space, a seperate toilet/bathroom, every apartment has a ski locker, WiFi and a balcony with a view to die for! The apartments are small, but let's face it location is key! 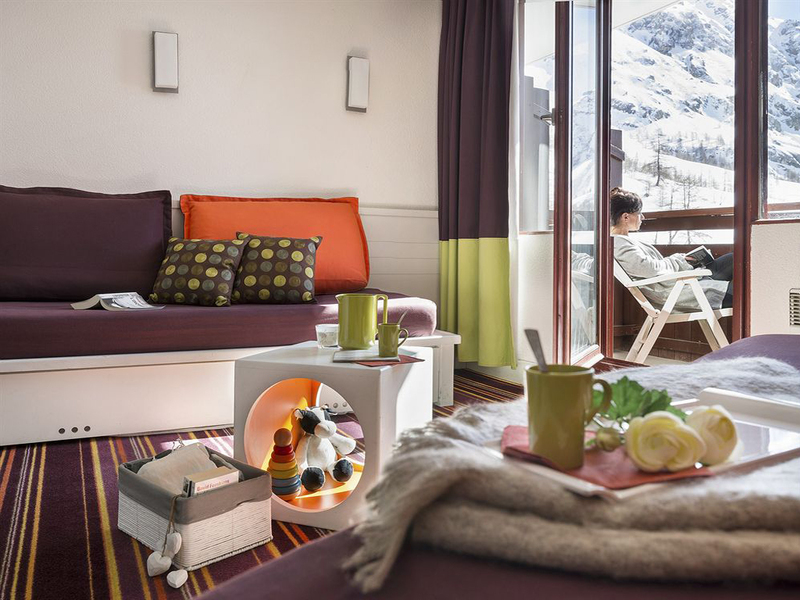 There is a reception and lounge area downstairs, slopes at your door, supermarket across the road, keen skiers will love the view and general efficiency of these apartments. Any requests you have will be dealt with by the helpful team immediately. Five nights a week evening meals are included as part of the package. Accommodation upgrades are available on request depending on availability and course numbers, so please contact us if you wish to have a chat. 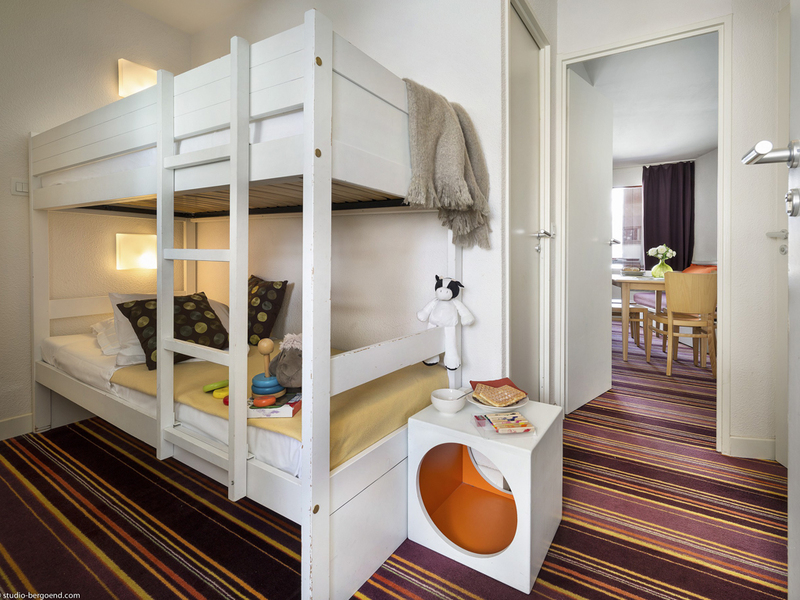 We always aim to show flexibility for accommodation requests that differ from the standard package above.